Contractors and architects looking for certified high quality walk-in tubs and showers come to ORCA HealthCare for Best Bath Systems’ ADA showers, walk-in showers, and walk-in tubs for residential and commercial bathroom construction or renovation. Best Bath Systems’ products are designed to meet the American standard for walk-in tubs and showers, and are CSA certified. Each walk-in tub model offers a wide selection of the best walk-in bath features to last a lifetime for people of every ability, and makes it possible to maximize your accessible bathroom plans. Best Bath Systems products are certified to applicable standards including standards written or administered by the American National Standards Institute (ANSI). 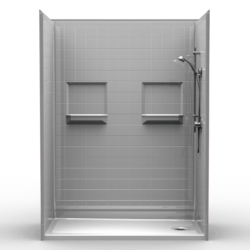 Manufacturing accessible walk-in showers and bathtubs since 1969, Best Bath Systems’ premier walk-in tub and shower products are made in the USA. They are designed with end users’ needs in mind for independent living, safety, and durability, promoting safe bathing solutions for people of all abilities. Walk-in tubs have a lower entry level threshold than regular bathtubs for easier access into the tub. 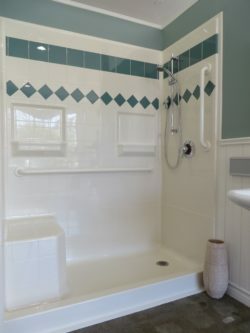 The popular low-threshold walk-in showers eliminate barriers for accessible bathing and enjoyment with the added safety of non-slip shower pans. The gelcoat fiberglass walls of walk-in showers are reinforced with laminated wood for secure placement of shower accessories. All walk-in tubs feature a unique unibody construction – one seamless composite fiberglass bowl with a gelcoat finish. Shipping of Best Bath Systems walk-in tubs and showers is factory-direct, paving the way for quick and efficient delivery anywhere in the U.S. and Canada and just-in-time delivery at construction sites. 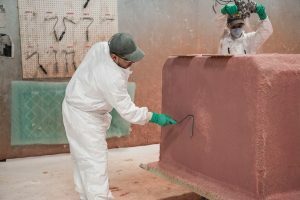 Since all Best Bath Systems products are prefabricated, you save money with the best walk-in shower installation time against any bathroom construction or remodeling requiring tile work.